CPF and public assistance are not the same. do u remember what the PAP garment says about targeted help? so applying the garment's logic (not my logic hor) which u so happily agrees with, when it comes to the CPF the garment should also intervene in a targeted manner only on those individuals who cannot (in your words) act responsibly. Correct? So why all a sudden when it comes to the people's CPF instead of targeted intervention, the garment now intervenes in a blanket manner on everyone? The CPF is about helping us in saving for retirement. The CPF Life is, in essence, an annuity but better. We are not asking for financial aid here. It is different from the poor requesting for help. However, more importantly, how can we determine if someone is able to act in a financially responsible manner? This is a difficult thing to determine which is why a minimum universal safety net that covers everyone works. We must bear in mind that in helping the poor and the needy, we are talking about providing aid using public resources. There is very little or almost no emphasis on self-reliance. When using public resources to help individuals, I appreciate the targeted efforts the government make to ensure the best use of taxpayers' money. You might think that there are double standards here. However, I think you have misused the phrase "double standards". If there are two sets of standards applied to the matter of the CPF, one set for the rich and one set for the poor, then, I would say that double standards existed. However, helping us to save money to ensure retirement adequacy is a different matter compared to helping the poor and the needy using public resources. The approaches have to be different because these are two separate and very different issues. If i can put more money into CPF, i would. Some people think that they can manage their money better if the govt leave it to them to do so. Most, i think, will just squander it. Those that will invest will probably put the money inside fixed deposit, buy a sgd bond or put it inside the stock market. If the CPF and govt collapses, do you think all those Singaporean assets will remain unscathed ? For better or worse, all of us are in this ( Spore Inc ) together and we have to believe that the system works. So far it has so there really is no reason to doubt it will continue working. It seems self evident and logical. The government does provide some allowance for CPF members to invest their CPF savings but unfortunately, most CPF members who have done this have lost money. I believe in not touching my CPF savings and treating them as the investment grade bond component of my investment portfolio. It smooths out my investment performance and allows me to stomach volatility in the stock market better. Recently, advertisements on CPF Top-Up are visible on all forms of media. So, this coming Christmas, do not buy presents for family members. Top-up their CPF instead. Similarly, this coming CNY, do not give hongbao to family members. Instead, top-up their CPF. Improving retirement funding adequacy for my father. I feel that one should put in effort to understand the details of government policy and think how should you react to optimize the benefit from it. Right mindset is playing important role in your success. The negative feeling will affect your health. After spending decades of lifetime complaining, it won't make CPF to be abolished and money to be returned to you. I will think this way instead, without CPF I am earning $6K a month. With CPF, I am actually earning $7020. If not for CPF, my employer will not be paying me extra $1020 a month. Nice analogy. This is one of the blind spots which ppl tend to miss due to CPF saga. There are pros and cons on CPF. This is one of the pros which is the icing to the cake. This is the additional incentive for working. However, it becomes a problem in which one will have to wonder whether it's worthwhile to quit full-time employment after achieving financial independence. A good problem to have. Decision-Making Time. Walau.. why the reader in that article sounded so negative? 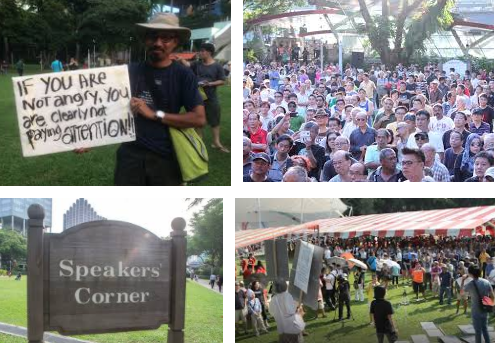 If the government returned us all CPF monies, then what? Then we don’t have to do retirement planning anymore? The CPF system is not perfect but there is much more that is good than bad about the CPF. We are very fortunate to have the CPF system.